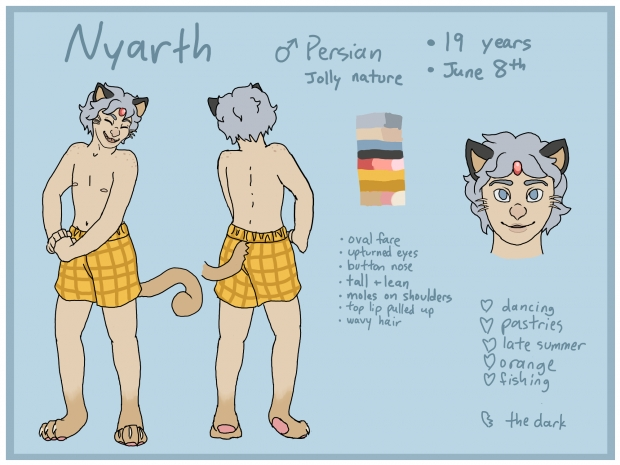 I never got around to drawing a pic of Nyarth for his recent birthday, but I whipped up this ref! He's technically 20 years old now, but I'm not sure if I want to keep aging him up every year. I've put 19 years old on the ref for now.